QUICK TIP: If you have the Linksys Connect software installed on your computer, you can try opening the web-based setup page of the router using the software before proceeding with the configuration steps below. To learn how to access the web-based setup page using Linksys Connect Software, click here. NOTE: The image may vary depending on the computer you use. For wired connections: Have two ethernet cables. The first cable should be connected from the modem to the router’s Internet port and the second cable should be from the computer to any of the ethernet ports at the back of the router. For wireless connections: Make sure that the cables for the modem and router are properly connected and that your computer is successfully connected to your Wi-Fi. To learn how, click here. After connecting the devices together, check the lights of the router. Ensure that the internet and the numbered light corresponding to the ethernet port where the computer is connected are lit. For a detailed explanation about the router lights, click here. Your computer must have an IP address from the router to make sure that they are communicating with each other. To find a Linksys router’s local IP address, you have to check the IP settings of your Mac® computer. For instructions, click here. If you’re using a Windows® computer, click here. For Windows® 8, 8.1 and 10 users, click here. If you still cannot access the router’s web-based setup page, you may reset the device. The router can be set back to its factory default settings manually by pressing and holding its Reset button for 10 seconds. 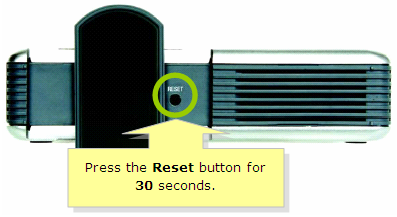 A software reset done through the router’s web-based setup page is also another way of resetting the router. If you are having continuous intermittent router connectivity, check if your router has the latest firmware. If not, upgrade the router’s firmware, then powercycle the router for 10 seconds. To learn how to upgrade the router’s firmware, click here. To learn how to upgrade the router’s firmware using Linksys cloud account, click here. You may also need to upgrade the firmware of your router using the Management Mode of the web-based setup page. To learn how to perform Management Mode, click here. QUICK TIP: If the web-based setup page doesn’t display properly on the web browser that you are currently viewing, you may try clearing your browser’s cache settings. You may also try using other browsers such as Mozilla Firefox® and Google Chrome™. The Linksys Smart Wi-Fi Routers have an Auto Firmware Update feature. For more information, click here.